3wPlayer is a new Media Player. It is one of the most advanced but still userfriendly Media Players on the market today. We offer a great amount of features and ability to play both Music and Video files at its best quality. 3wPlayer allows you to play almost any kind of media format, both movies and music files. You have the ability to create a playlist with your favourite songs and enjoy the great sound or watch movies with crystal picture. 3wPlayer is one of the most advanced but still userfriendly Media Players. 3wPlayer allows you to play almost any kind of media format, both movies and music files. You have the ability to create a playlist with your favourite songs and enjoy the great sound or watch movies with crystal clear picture. 3wPlayer has no advanced settings, everything is handled behind the scene as we prioritate giving you a user friendly program and a great media experience. 3wPlayer is a rogue media player software application bundled with trojans that can infect computers running Microsoft Windows. 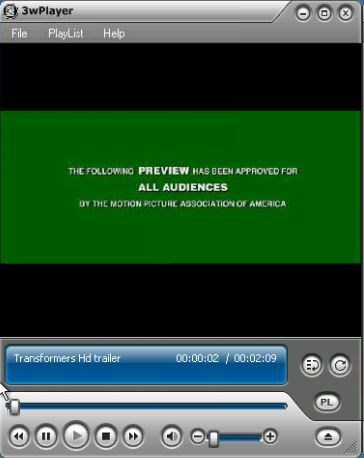 3wPlayer is designed to exploit users who download video files, instructing them to download and install the program in order to view the video. Multimedia Manager is an all-in-one multimedia viewer, player and manager. Adds features like import/export to WAV, OGG and MP3. The BKAudio class library allows you to visually add sounds to your .NET apps! Convert your CD collection into MP3 one with this budget tool. View, play and manage your multimedia files in style! Qweas is providing links to 3wPlayer 2.1.0.0 as a courtesy, and makes no representations regarding 3wPlayer or any other applications or any information related thereto. Any questions, complaints or claims regarding this application 3wPlayer 2.1.0.0 must be directed to the appropriate software vendor. You may click the publisher link of 3wPlayer on the top of this page to get more details about the vendor.